A common barrier to creativity is fear of criticism. It can restrict and stifle us. When we feel like this its extremely difficult to write or want to write. 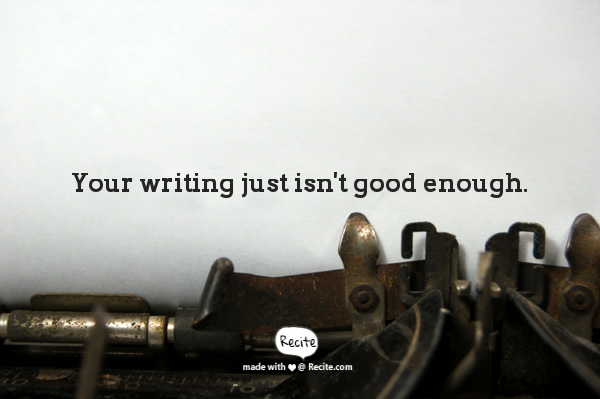 It’s important as writers to find a way to free ourselves from this fear if we want to develop a regular writing routine. The criticism we fear is often internalised in the form of an inner critic. Amber Lea Starfire’s article has five ideas to overrule your inner editor, her name for the inner critic. Six ideas from creative thinkers, presented by Jessica gross, has some simple effective suggestions to facilitate creativity. I think these articles combined have a lot to offer the writer who might be struggling to free their creativity and bypass the inner critic. Let me know what you think, or if you have ideas of your own. Respond in the comments section.